Walnuts are round shaped nuts with dark brown shells with whitish nuts encased within the shell. They are in season and have numerous health benefits. In the south-east region of Nigeria, it is called Okpa. Here are the reasons you should eat this nuts more often. 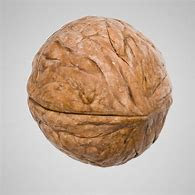 The African walnut contains vitamins such as B6, B7 and E. Vitamin E is an antioxidant which protects the body from free radicals that damage the body. Vitamin B6 helps in brain growth and function and Vitamin 7 helps to metabolise carbohydrate and fat and all these are highly required by the body. Walnut contains amino acid 1 arginine which helps in cell division, healing of wounds immune system function and the release of hormones. There is also the presence of antioxidants such as flavonol morin and quinone juglone that help to regulate the heart and prevent heart-related disease. Walnut contains polyphenol ellagitannins which certain microbes in the gut convert to urolithins. Urolithins is a property that has anti-inflammatory functions that protect against colorectal cancer. Urolithins have properties that help them reduce the risk of hormone-related cancers like breast and prostate cancer. Walnut contains vitamins b 7 which is essential for key metabolic process, contains fibres and protein which also help to check weight gain.